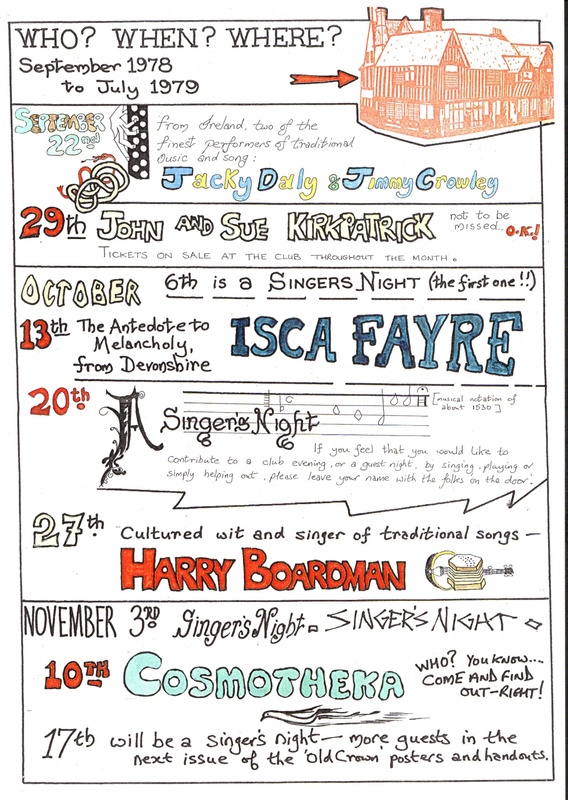 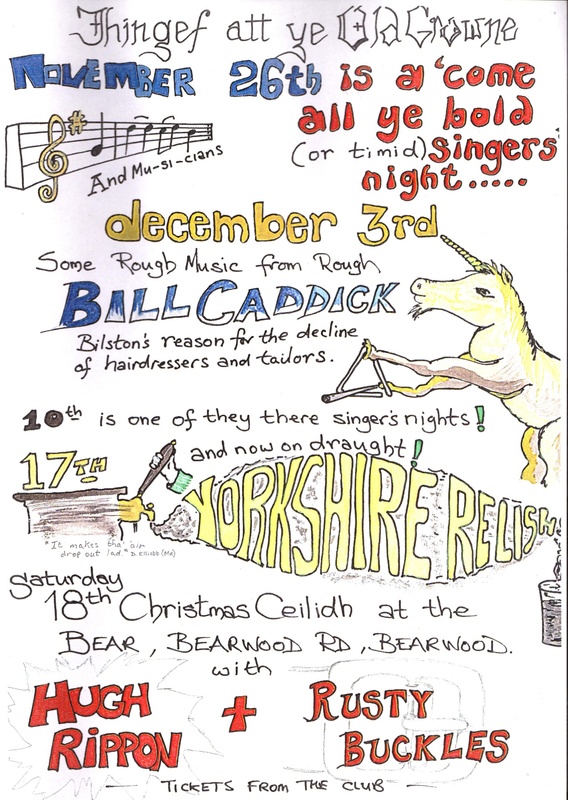 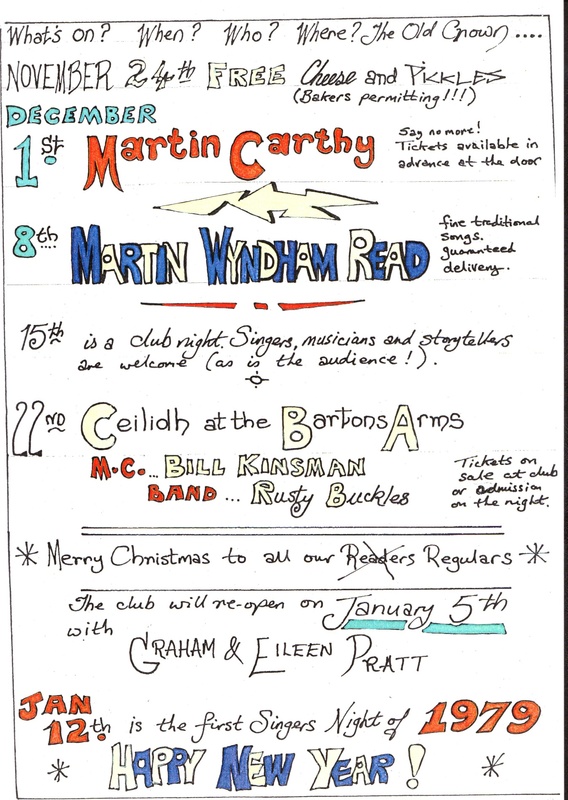 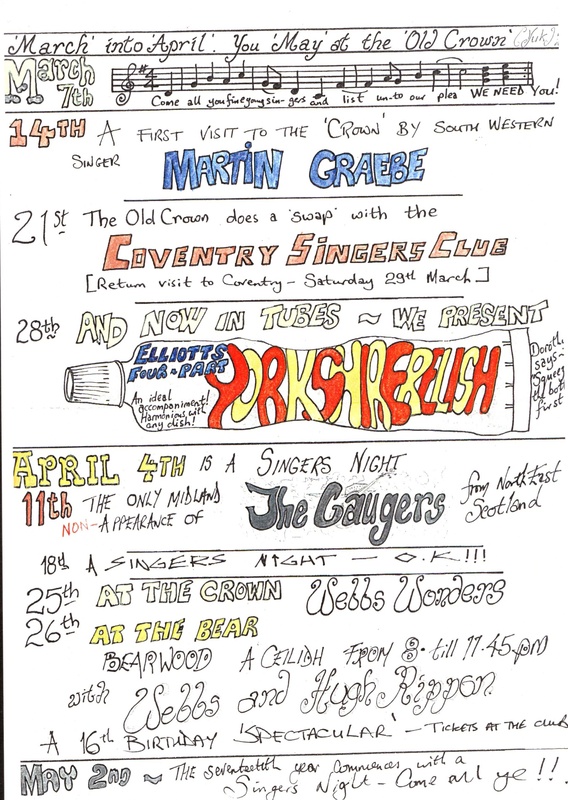 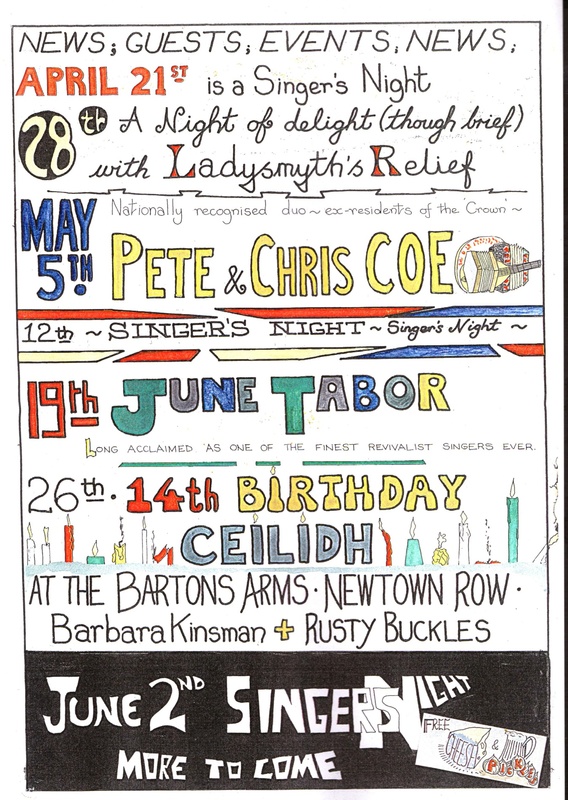 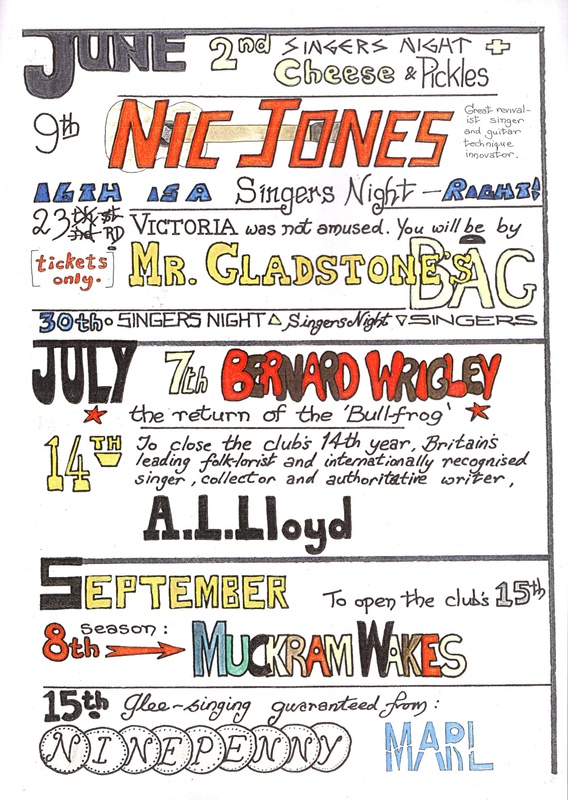 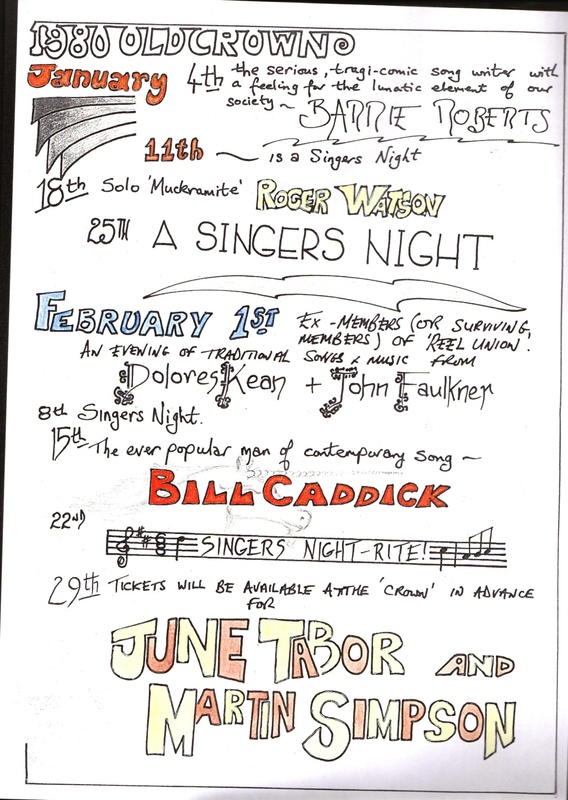 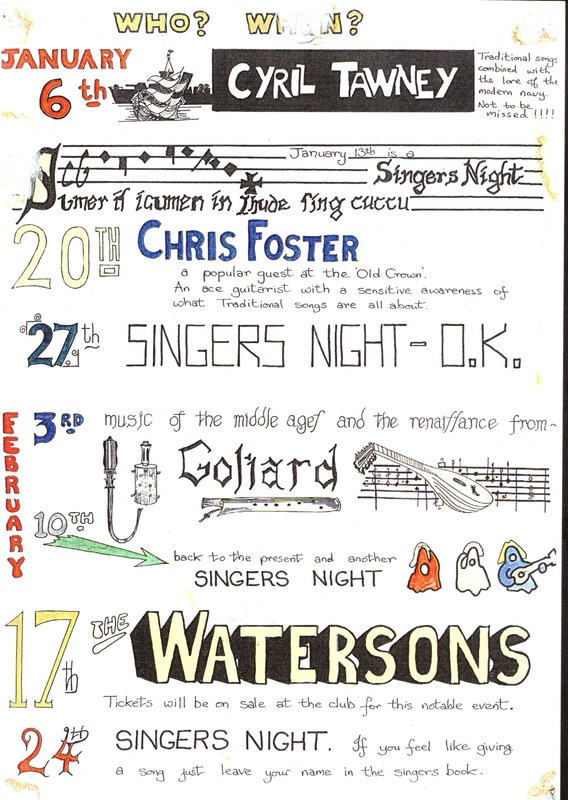 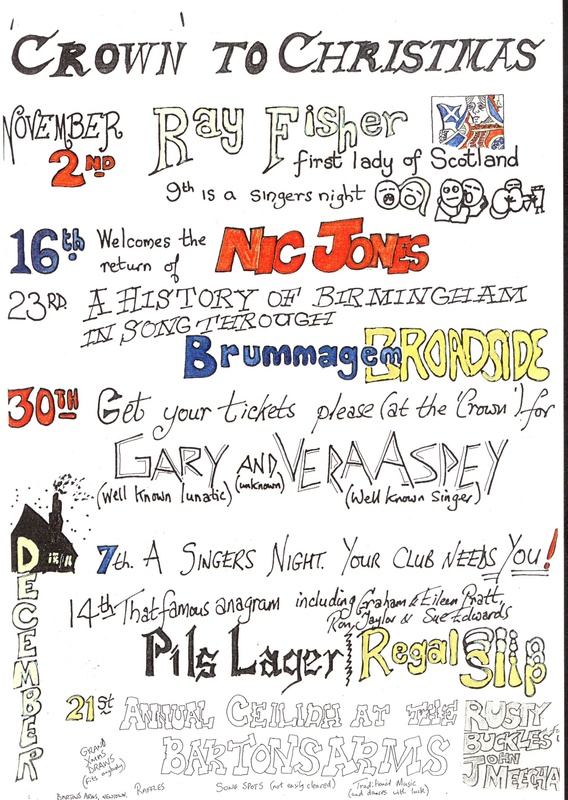 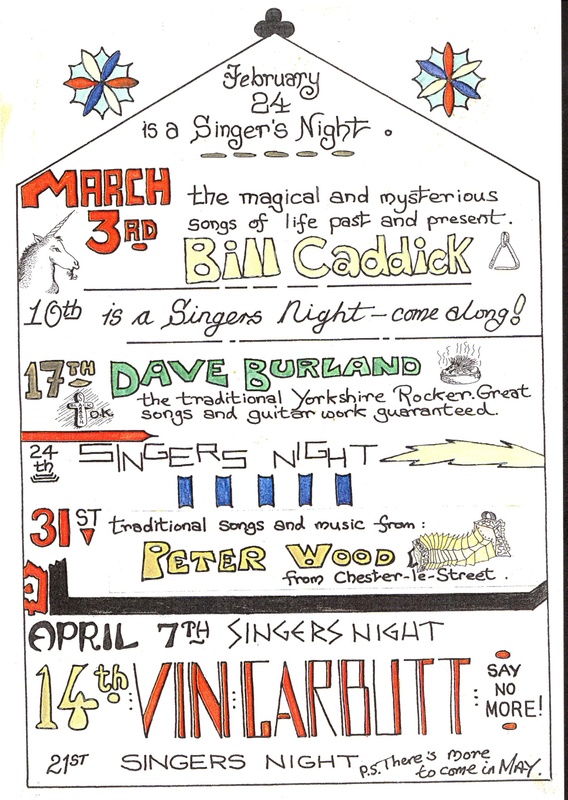 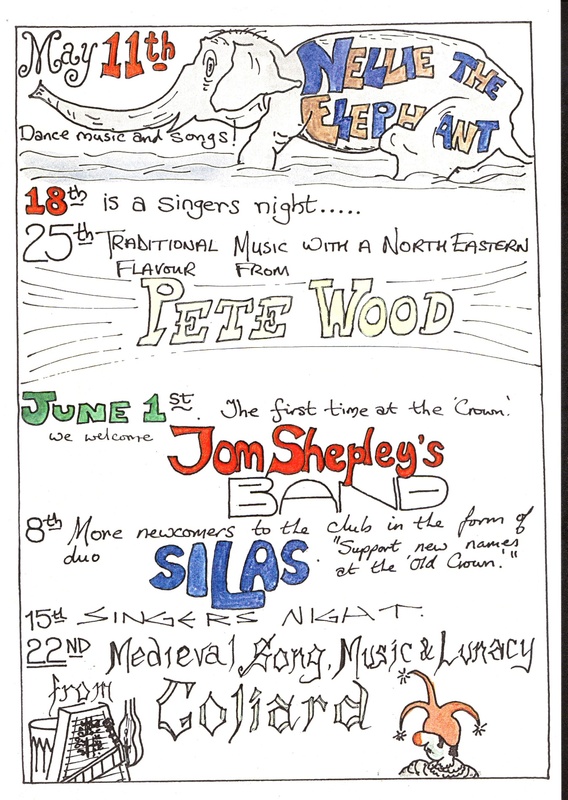 The following posters were all hand drawn/coloured by Mick Bramich in the 1970's. 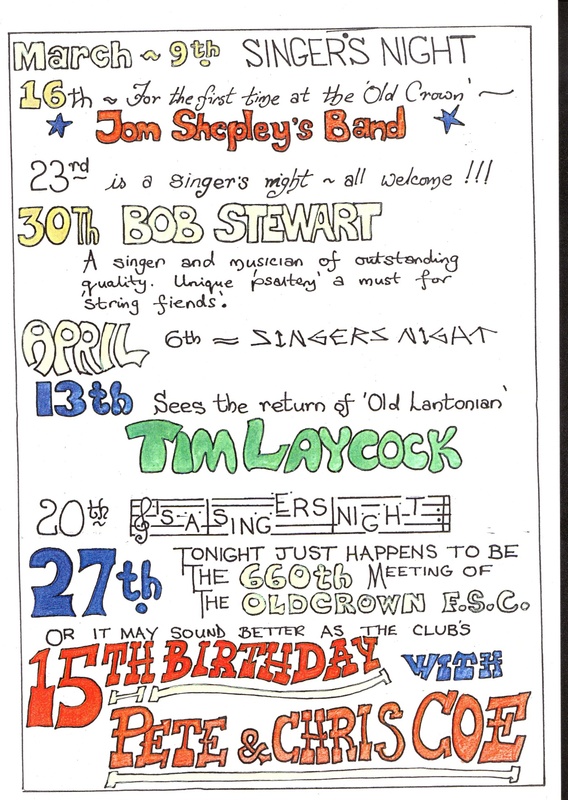 Mick was a long standing resident of the club and is now living in Devon. 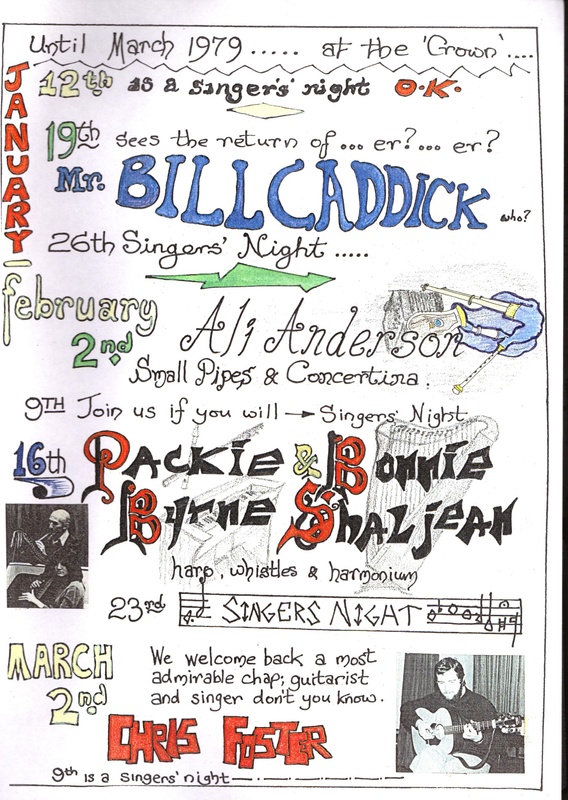 He has written a number of tutorial books on playing the Anglo Concertina in the Irish style.